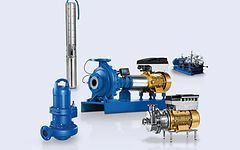 The radial bearings of tubular casing pumps are exposed to a continuous flow of the fluid pumped, which is why they need to be particularly robust. So tubular casing pumps are equipped with KSB’s proprietary RESIDUR ceramic bearings to make them fit for their demanding job. 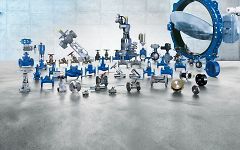 This proved a success: Since their introduction in the early 80s, KSB’s RESIDUR ceramic bearings have proven their worth in thousands of applications – particularly in the harsh conditions of seawater desalination plants and cooling circuits of power stations. Every tubular casing pump, whatever its make, can be retrofitted with KSB’s RESIDUR ceramic bearings. The plain bearings are lubricated by the fluid pumped. By contrast, plain bearings made from conventional materials have to be lubricated by fresh water or filtered pumped fluid. Low life cycle costs recover the money invested in KSB’s RESIDUR ceramic bearings after a mere three years.